This week I received my Coastal Scents Eye Poxy – brand new formula. I reviewed the very first version in THIS post, and was tempted by new and improved formula of Eye Poxy. You can see right away that the formula is quite different. New Poxy is much buttery, there are still few lumps present, but for now they’re manageable. 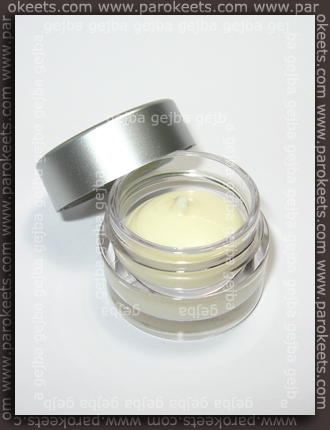 I still can’t apply primer with brush only – I have to use fingers to evenly spread it around the lid. But I avoid using fingers only – since that is to unhygienic for my taste. As you can see in this picture – content is not evenly spread in the pot, but I have no problems with that. I do mind that there is no date of expiration listed – not on their website or on the product itself. Other thing that bothered me is, that ingredients on their web page did not match ingredients on my Poxy. 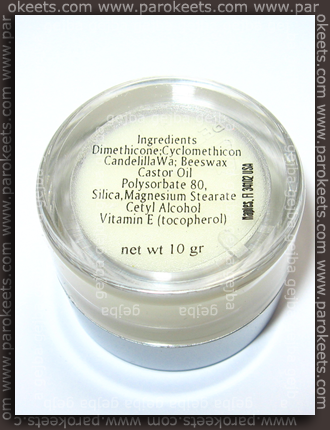 Here are the ingredients listed on Coastal Scents webpage: Castor Wax, Cyclomethicone, Beeswax, Silca, Boron Nitride, Dimethicone, Candelilla Wax, Castor Oil, Cetyl Stearic Alcohol, Polysorbate 80, Vitamin E (Tocopherol). Of course I had to test it right away. :D For now – I’m impressed. No creasing and very little color fading for hours on my very oily lids – so it should last whole day on most of the notsoproblematic lids. Time will tell if effect will last in this formula or if it will be gone in the few months as in the last one. 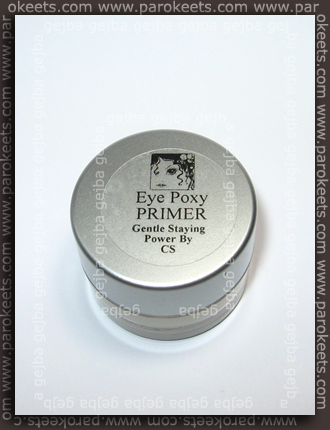 I bought Eye-Poxy directly from Coastal Scents and payed 11,95 USD (8,5 EUR) + shipping for it. What does Laura Geller primer base on? Silicons? :think: I’ve never used their eye primer. 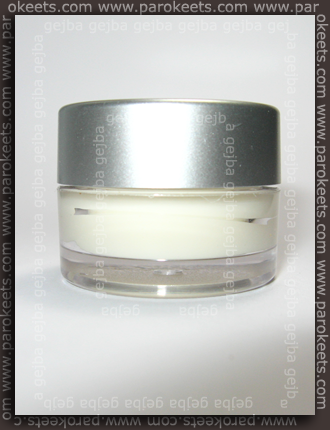 I have Laura Geller’s primer which I like. It does crease a little when I put it on. I just smooth it out with my finger before I put on my eye shadow. My eye shadow doesn’t crease or move. I don’t have oily lids. I might have to try Coastal Scents when I run out of the other.